These data are not to be used for navigation. 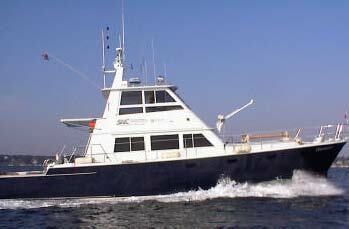 For navigation please refer to NOS Nautical Charts. Downloads may take a long time, depending on file size and data transfer rates. This text is here to separate the iframe open and close tags, required for proper rendering. Visit the full NCEI Bathymetry Viewer. Products listed in the project descriptive report (DR) may not reflect final products available through NCEI. H13040_DR.pdf 11.06MB The document may be read using a free Adobe Reader. H13040_DR.xml 102.6KB Descriptive Report in XML format. May be opened using a web browser or text viewer. H13040 View / Download H13040.xml Usually presented as an XML document, which captures the basic characteristics of HSMDB metadata verified from H10000 (1982) to the present as well as F00200 (1965) to the present. Survey products may use different units, datums or projections than the associated survey. Please consult product-specific metadata for additional details. The BAG format is a gridded, multi-dimensional bathymetric data file (see Open Navigation Surface). Readable with various applications such as the free CARIS Easy View, ESRI ArcGIS or open source GDAL. The BAGXYZ files are ascii representations of the BAG data in XYZ format, but do not include uncertainty. H13040_GeoImage.pdf 75.86MB NOAA/NOS Layered GeoSpatial Image PDF File. Created by NOS to include chart and survey layers in a georeferenced pdf format. H13040_SSSAB_1m_600kHz_1of2.tif 463.94MB NOAA/NOS TIFF sidescan sonar mosaic survey image. The mosaic may be viewed with a standard image viewer. H13040_SSSAB_1m_600kHz_2of2.tif 463.74MB NOAA/NOS TIFF sidescan sonar mosaic survey image. H13040_MBAB_2m_RVOceanExplorer_400kHz_1of2.tif 20.28MB NOAA/NOS TIFF multibeam acoustic backscatter mosaic survey image. 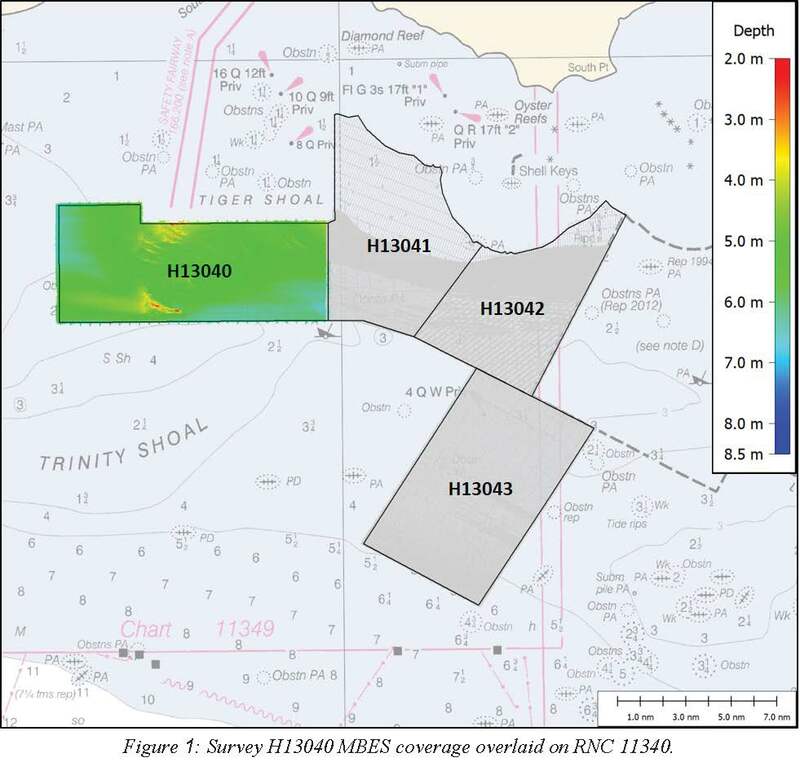 H13040_MBAB_2m_RVOsprey_455kHz_2of2.tif 5.49MB NOAA/NOS TIFF multibeam acoustic backscatter mosaic survey image. H13040_tn.pdf 23.0KB This document may be read using a free Adobe Reader. H13040_tz.pdf 0.54MB This document may be read using a free Adobe Reader. H13040_ProjectSketch.jpg 91.5KB Project sketch image with highlighted survey area. OPR-K354-KR-17_DAPR.pdf 9.01MB This document may be read using a free Adobe Reader. OPR-K354-KR-17_HVCR.pdf 1.77MB This document may be read using a free Adobe Reader.